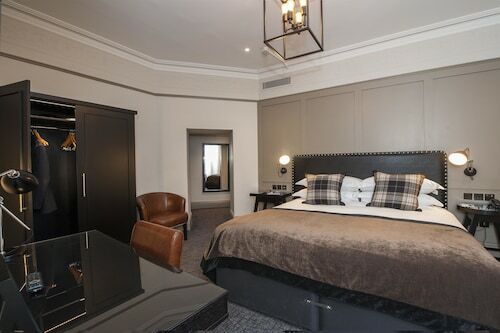 Located in Birmingham City Centre, this romantic hotel is within a 5-minute walk of Chinese Quarter and The Mailbox. Broad Street and Victoria Square are also within 10 minutes. Birmingham New Street Station is 8 minutes by foot and Birmingham Moor Street Station is 11 minutes. 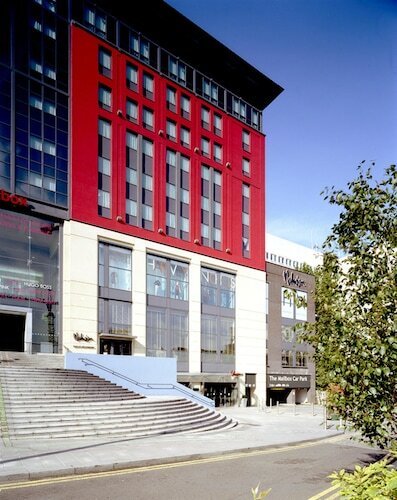 Radisson Blu Hotel, Birmingham is a 5-minute walk from The Bullring and The Mailbox shopping centers with shops, cafés, and movie theaters. 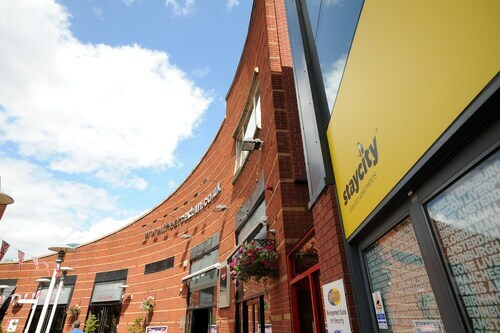 In less than 5 minutes, guests can walk to Birmingham New Street Metro Station or Symphony Hall and Birmingham Hippodrome for concerts or theater shows. 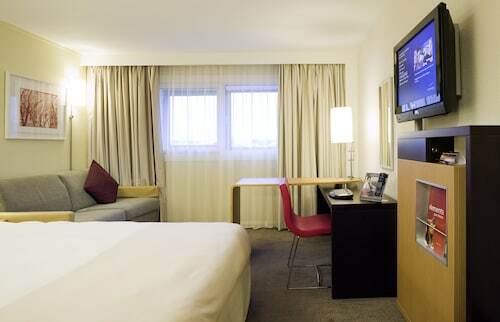 Situated near the airport, this hotel is within a 10-minute walk of National Exhibition Centre (NEC) and Genting Arena. Resorts World Birmingham is 0.5 mi (0.8 km) away. Birmingham International Station is 21 minutes by foot. 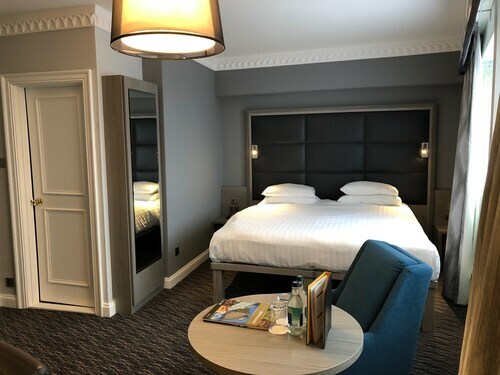 Located in Birmingham City Centre, this hotel is within a 5-minute walk of Corporation Street, Victoria Square, and Birmingham Town Hall. Bullring Shopping Centre and Chinese Quarter are also within 10 minutes. Birmingham New Street Station is 5 minutes by foot and Birmingham Snow Hill Station is 5 minutes. 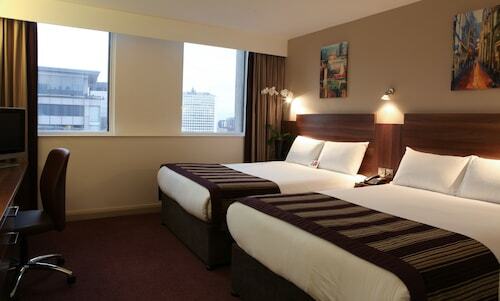 Novotel Birmingham Airport is a 1-minute walk from the terminal and 25 minutes by train from the city center. Guests can also ride the free SkyRail to the National Exhibition Centre in less than 2 minutes. Chocolate lovers will want to visit the famous Cadbury World, a 20-minute drive away. 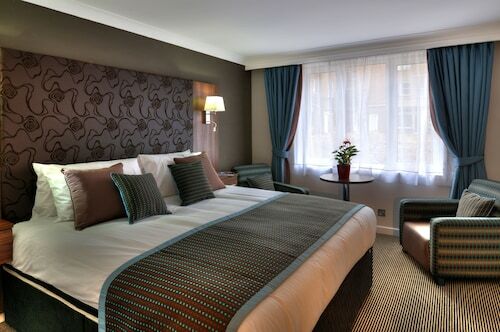 Located in Edgbaston, this hotel is within a 15-minute walk of Hagley Road and Birmingham Botanical Gardens. Broad Street and Arena Birmingham are also within 2 mi (3 km). Birmingham Five Ways Station is 22 minutes by foot. 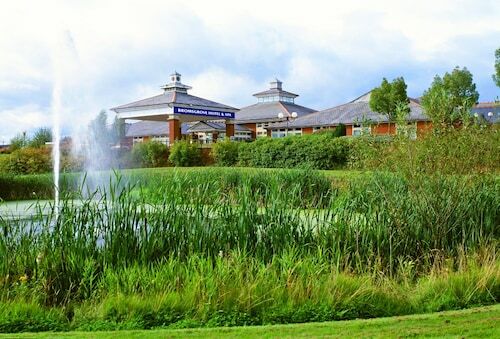 Situated in Bromsgrove, this hotel is 2.2 mi (3.5 km) from Lickey Hills Country Park and 2.8 mi (4.5 km) from Sanders Park. Cadbury World and University of Birmingham are also within 9 mi (15 km). 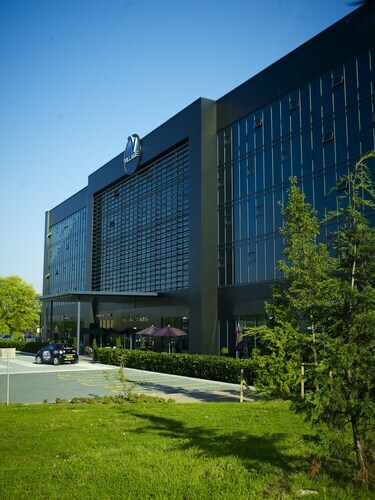 Situated near the airport, in Solihull, this spa hotel is in the same region as National Exhibition Centre (NEC), Resorts World Birmingham, and University of Warwick. Regional attractions also include Ricoh Arena and Coventry University. 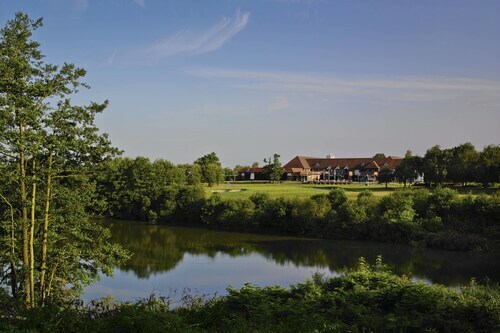 Situated in the business district, this hotel is within 3 mi (5 km) of Shirley Park, Blythe Valley Park, and Tudor Grange Park. Touchwood Shopping Center is 2.8 mi (4.5 km) away. Where do I begin.....from the potholes in the parking lot, cobwebs throughout the building, dusty curtains, dirty carpets, loose tiles in the bathroom, toilet that didn't work, a sink that was clogged up and the worst English Breakfast that I've ever had.....and an additional charge of 4 pounds to use the spa........I will admit that the room was cozy, even though the furniture was a bit dated and the grounds were expansive. With such a name as Royal Court Hotel and Spa.....it was nothing of the sort..... Nothing Royal about that place.